The recent outbreak of Lassa fever in several countries in West Africa has produced a rapid response from the WHO and partners: response teams have been sent to the affected areas, contacts of patients have been identified, health facilities strengthened and cross-border collaboration is said to be facilitated. If this seems somewhat familiar, there are echoes of the Ebola outbreak in West Africa that ended just over a year ago. There are several similarities between these two epidemics. Both Ebola and Lassa fever are hemorrhagic viruses, meaning that they can cause uncontrolled bleeding in infected individuals. Moreover, the recent Ebola epidemic also occurred across borders in West Africa, which led to the outbreak being unrealised for some months. In addition, both infections are spread by animals to man. In the case of Ebola, fruit bats are the natural host of the disease and for Lassa fever, the rat. In fact a common way of transmitting the viruses has been for an individual to eat infected ‘bush meat’: both fruit bats and rats are eaten on occasion. It is the human-to-human transmission that is especially important in the fuelling of an epidemic, however. It has been well publicised that the recent Ebola outbreak was aided through the practice of local burial customs that allowed for close contact of the infected corpse with their mourners during ceremonial washing. Although it had been generally thought that Lassa fever was not transmitted in this way, a recent paper estimates that perhaps 20% of cases of Lassa fever are acquired from fellow humans, and that the role of customary burial practices may also be important with this disease. The most significant difference between these hemorrhagic viruses, however, is that around 80% of those infected with Lassa develop only a mild illness. This is not the case with Ebola, where most become severely ill, and around 40% die. Around 100,000 to 300,000 people become infected with Lassa fever each year, resulting in the deaths of 5,000 people. What may be happening with this Lassa fever outbreak is that the increased local surveillance of hemorrhagic viral illnesses, and the greater interest from the globe’s press, are bringing to our attention diseases that have actually been causing local epidemics for decades. 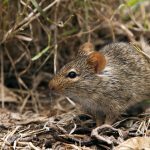 It is too soon to say whether this present outbreak is unusual, but the practices instigated to control the infamous hemorrhagic fever Ebola, are likely to be effective in reducing the deaths caused by the previously somewhat ignored Lassa fever. Nigeria has been in the news again recently for the outbreak of meningitis currently seen in Zamfara, Katsina, Kebbi, Niger and Sokoto. These districts of North-West and North-Central Nigeria have seen almost 3,000 cases of bacterial meningitis so far, which has resulted in over 330 fatalities, mostly in children. Bacterial meningitis, the infection of the lining of the brain, is frequently seen in the region of sub-Saharan Africa called the ‘meningitis belt’, a region that extends from Senegal in the West to Ethiopia in the East. This band of countries has the highest rate of the disease, fuelled by climatic and socio-economic realities. In fact although the above epidemic in Nigeria is very concerning, it may be less severe than that suffered in 2015, during which more than 10,000 infections occurred and 1,100 people were killed. Half a million doses of the meningitis vaccine have now arrived in Zamfara for distribution, but some reports state that 4 times that amount might actually be required. It is still unknown why Brazil was seemingly more affected by Zika than some other countries: the rate of microcephaly seen in the developing foetuses infected with the virus, was higher than that seen in other countries. This observation has led to the theory of ‘Zika Plus’, which suggests that Zika alone has not caused the increase in microcephaly, but some as yet unknown factor working in concert with the Zika virus. Recent work in mice has provided further evidence as to which factors may be required to cause these severe complications of Zika. For the last few months basic research has suggested that if a patient is first infected with the dengue virus, and subsequently becomes infected with Zika, they may be susceptible to the complications of the Zika virus. A theory called ‘antibody dependent enhancement’ may well be important in this process by increasing the virulence of the Zika virus. Put simply, antibody dependant enhancement suggests that a previous infection with one virus may worsen a subsequent infection with another virus. This effect only happens when the viruses are similar enough so that the second virus can react slightly to the immune response generated from the first infection, and dissimilar enough so that the specific antibodies produced to fight the first virus do not kill the second infection. This is a halfway-house situation: if the viruses were totally unrelated, the second infection would not be affected by the immune response to the first (and the body would create a separate immune response specific to the second infection). If the viruses were very similar then the first immune response would of course kill the second. The reason that this theory is important is that the dengue viruses (there are 4) and the Zika virus are in fact similar. It has therefore been a concern that if an individual is first infected with dengue, the immune response to dengue may actually worsen a subsequent Zika infection. What happens is that the weak immune response to Zika actually allows the virus greater access to the patient’s cells, enabling the virus to replicate more. Further support for this theory has been published this month in the journal ‘Science’: a study in mice has found that prior exposure to dengue, made subsequent infections of Zika much worse. Zika alone killed only 7% of the infected mice, but in those that were previously exposed with dengue fever, 79% died. This work contributes to an explanation as to why the rates of Zika complications, such as microcephaly, have been so much higher in Brazil, where dengue fever is also a common infection. It also suggests that when Zika reaches other countries that are endemic for dengue, such as India, high complication rates of Zika might be expected.